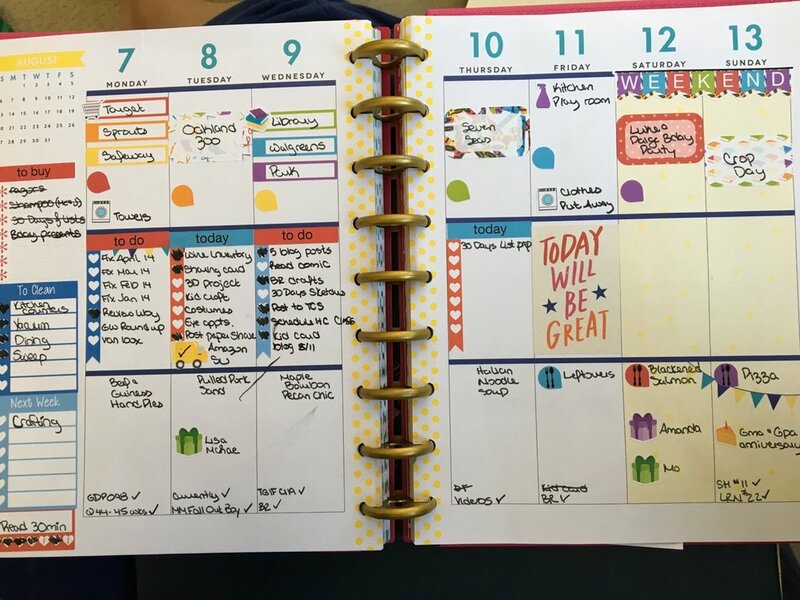 While I love to share my cards and my memory planner pages here, I've never really highlighted my planner pages. 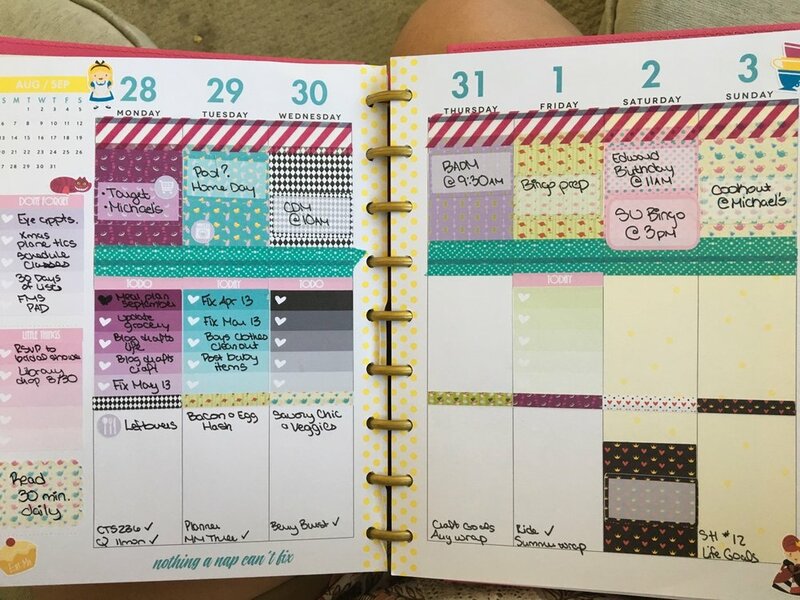 I'm a huge fan of The Happy Planner by mambi. This year is my second using their planners and I am obsessed. In this post, I highlight all my weekly spreads from May to August. See my spreads for Jan-April here. May -- Lots of fun colors in my May spreads. I also used a lot of kits: Bee-utifiul from Fabulously Planned (May 1-7), Mother's Day kit from Kaidens Mom Shops (May 8-14), Floral kit from Formless Designs (May 15-21), Polka Dots from Plan-It Planet (May 22-28). June -- Lots of bold colors for this month. Plus lots of kits! Snow White kit from Simply Sweet Planning (May 29 - June 4), Alice in Wonderland kit from Simply Sweet Planning (June 5-11), Mermaid kit from Simply Sweet Planning (June 19-25), Dr. Seuss kit from Plan-it Planet (June 26 - July 2). July -- Of course I had to pull out my patriotic kit for the week of the Fourth. From there, I just went with some random fun kits i had in my stash. Patriotic Kit from Simply Sweet Planning (July 3-9), Doctor Who Kit from Polished Patterns (July 10-16), Alice in Wonderland from Formless Designs (July 17-23), Blue, Green, and Tan kit from Formless Designs (July 24-30). August -- Wrapping up this third of the year with some super bright and fun spreads! I pulled out all my bright kits before making the transition to more muted colors for the fall. Rainbow kit from Brianna Nicole Designz (July 31 - August 6), Back to School kit from Kaidens Mom Shops with leftovers from the rainbow kit (August 7-13), Seasonal stickers from Mambi (August 14-20), Swept Away from Fabulously Planned (August 21-27), and Alice in Wonderland kit from Formless Designs (August 28 - September 3).